Series 3 ProSkin 3020s Wet & Dry shaver with protection cap, black. *vs. previous Braun Series 3. Tested on 3 day beard. It features two rows of fine, evenly spaced grooves that surround an independently moving middle trimmer. This catches and feeds more hair with every stroke, which gives you a faster shave. The difference to other shavers is noticeable, especially in the torture test of 3‐day beards. * vs. previous Series 3, on 3-day beards. 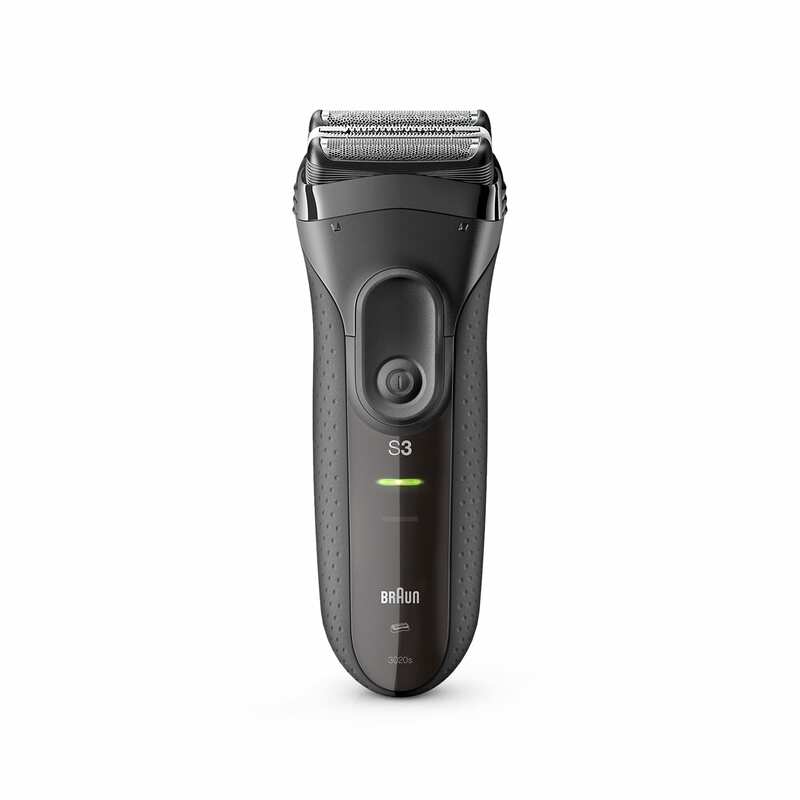 The Braun Series 3 ProSkin rechargeable electric foil shaver/razor provides faster shaving with great skin comfort<code>&ast;</code>. The 3 pressure-sensitive shaving elements adapt to every facial contour and the specialised Micro Grip capture more hairs in the first stroke<code>&ast;</code>. <br/> <br/> <code>&ast;</code>vs. previous Braun Series 3. Tested on 3 day beard.